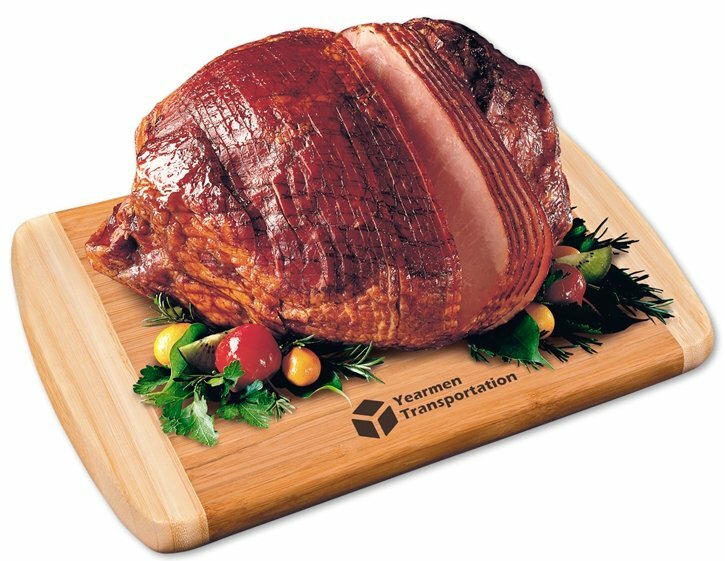 Full satisfaction holiday food gift: Maple Ridge Farms™ Whole Smoked Ham. Applications employee appreciation, best customers holiday gift, more. Your logo permanently remembered fire branded into the wood.